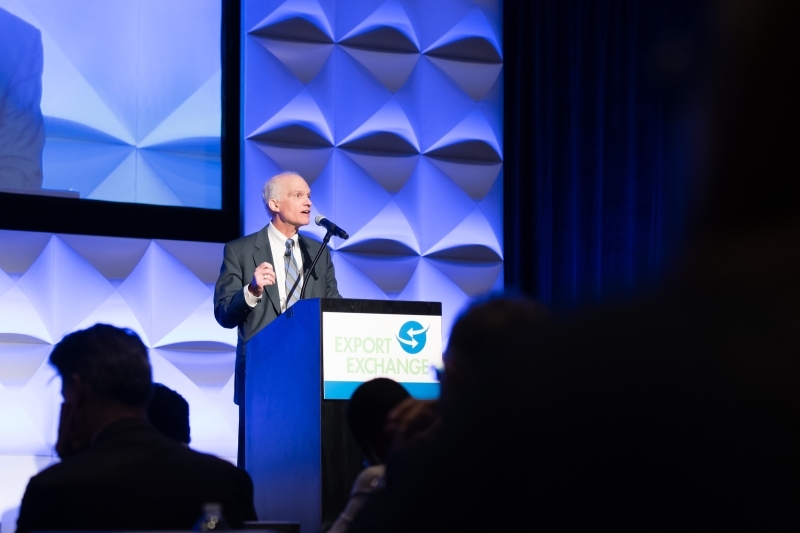 Co-sponsored by the U.S. Grains Council (USGC), Growth Energy and the Renewable Fuels Association (RFA), Export Exchange 2018 offers attendees an unparalleled opportunity to meet and build relationships with domestic suppliers of corn, distiller's dried grains with solubles (DDGS), sorghum, barley and other commodities. "There is reason for optimism. Reason will prevail over instinct and economics will win in the end," Pearson told attendees. "U.S. agriculture will continue to be a reliable supplier of ag commodities over the long run to countries around the world. The world needs U.S. agriculture and the U.S. needs the world." "The message I want to bring to you today is American agriculture is open for business, and USDA is all in," said Slupek. "We operate many foreign market development programs and they are about one thing - building relationships. We feel committed to our partnership with the U.S. Grains Council and the U.S. grains industry."